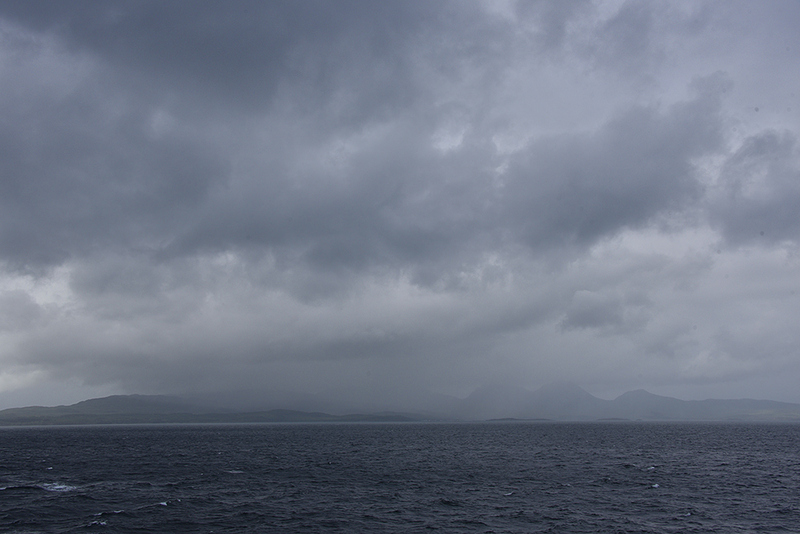 A very heavy rain shower over Jura, seen from the Islay ferry on the way to Kennacraig in June 2017. You can just make out the Paps of Jura through the rain towards the right, a few minutes later they were completely obscured by the rain. This entry was posted in Cloudy Weather, Jura Excursion, Landscape, Mainland journey, New Post and tagged ferry, Jura, Paps of Jura by Armin Grewe. Bookmark the permalink.